Every runner is different. We understand it very well and thus create a training program that will suit your running style. Designed for everyone: If you are looking to start running or want to improve, we are there to help you. I joined Fitso 2 months back and have seen a massive improvement in my running speed. 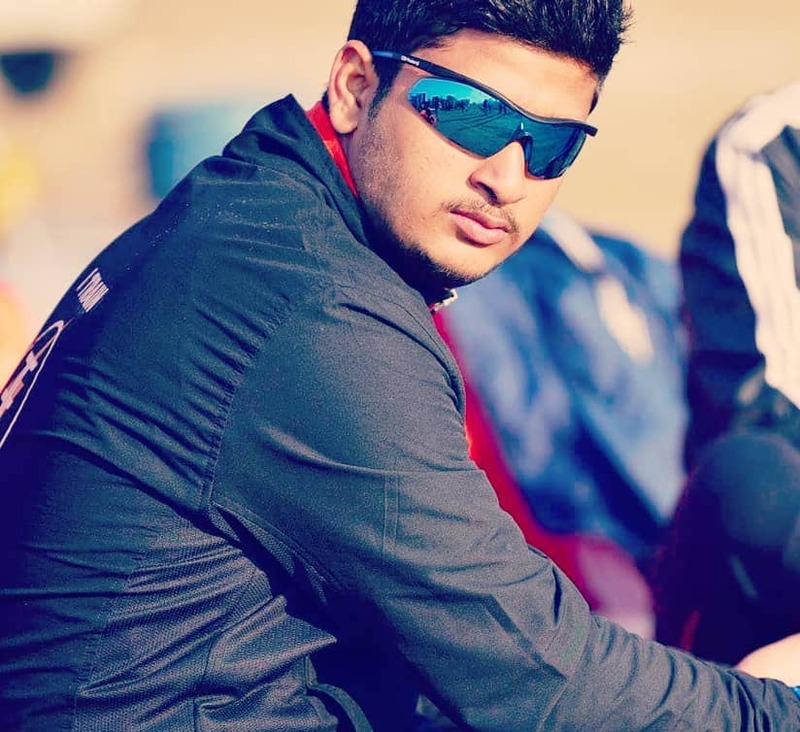 I give all the credit to Coach Abhishek for motivating me and making me do very hard training. 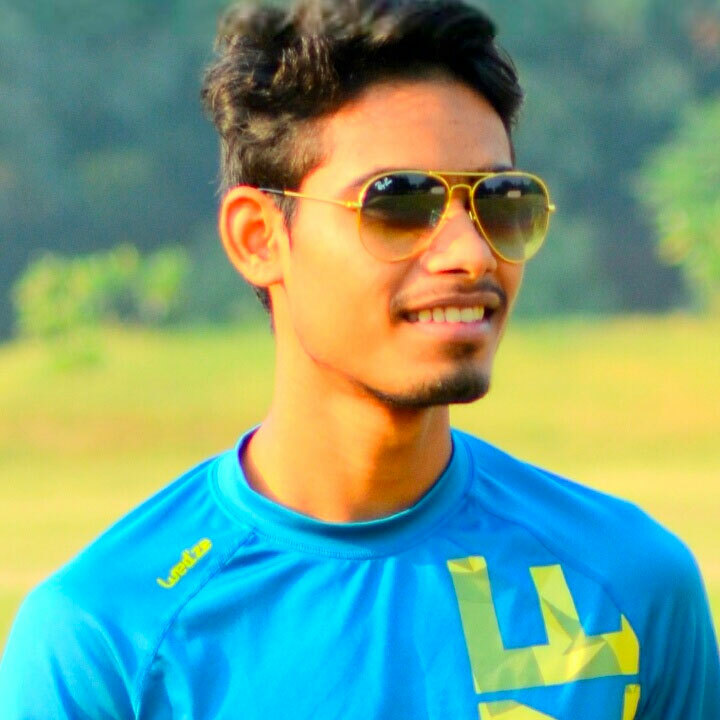 I am very happy so far after joining Fitso and hope Abhishek will help me achieve the sub-2 goal in the coming months. 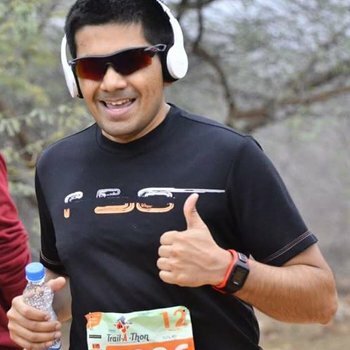 Thank you Abhishek for helping me out as I have struggled over the last 1.5 years with my running speed. 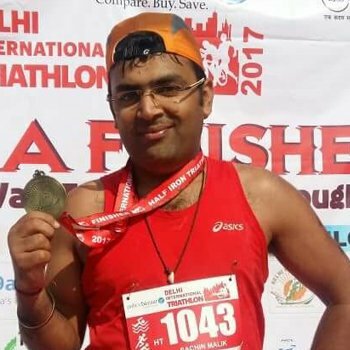 I feel more confident about myself that I can do better ever since I joined the Fitso running coaching program in Delhi. 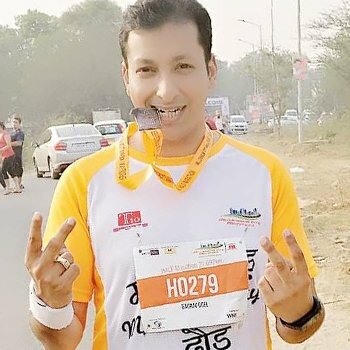 As it has added a more scientific way of training, doing core strengthening and various types of runs (easy/tempo/fartreks) which helps in working on all muscles of the body, which I guess would lead to injury free running. Thanks Fitso running coach Abhishek. I had run several half marathons before. 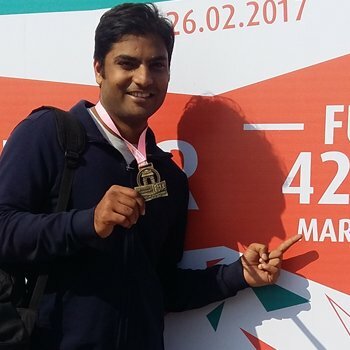 I had been constantly improving my timing until the last Airtel Delhi Half Marathon where my timing worsened instead of improving. That is when I came to know about Fitso's coaching plan for runners. It's just been 7 weeks and I feel I made the right decision. The coaching has brought discipline into my training. I have been training with Fitso running coaching program in Delhi from last month. Finally, dusted Millanium City Marathon with 1:52. 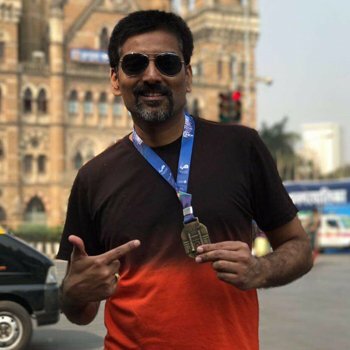 Would like to take an opportunity to thank Fitso running coach, Abhishek who has helped me with one of the best things I have been yearning for - MOTIVATION, next will certainly be a record breaker, I assure you coach. 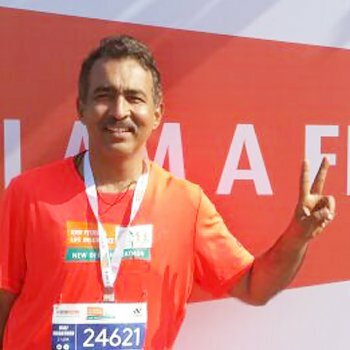 I have achieved my personal best of 2.11.16 in the IDBI Half Marathon. 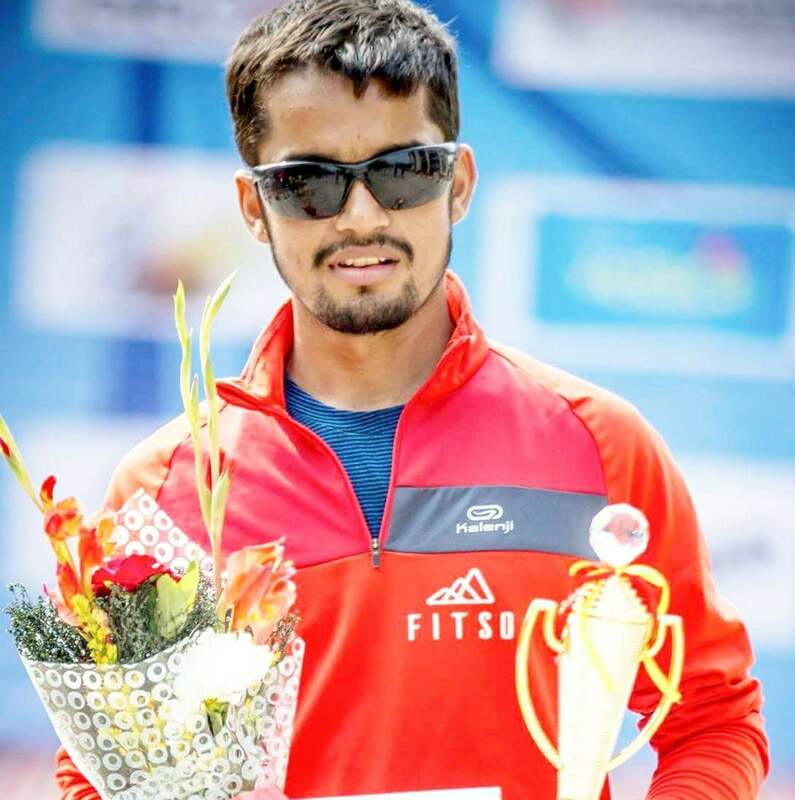 Credit goes to the Fitso running coaching team specifically Abhishek. I am very satisfied with both offline running training program and online processes. The interactions with coach have been very fruitful. Please consider adding a few suggestions on diet also. Fitso running program is a great beginning for me. I have been training with Fitso running program from past 3 months. 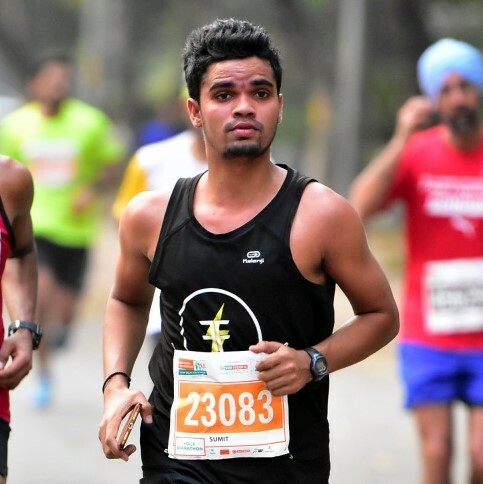 I am thankful for your training tips and I could see improvement in my recent marathon(SCMM) when I achieved result better than my expected goal and set my personal best so far. The various running drills are good. Fitso app is also a good app and various workout videos are interesting. 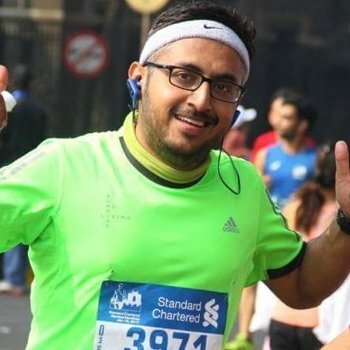 I opted for running coach program in Delhi with the aim of getting fit through running. 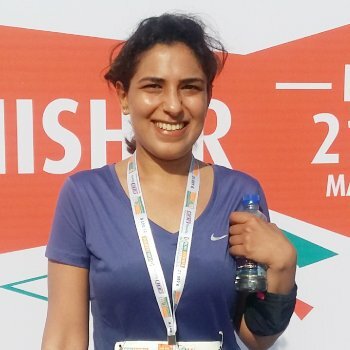 Within first month I was able to run my first 10k. I fell in love with running and it became an addiction. After that I have finished a half Marathon, 28km race and a full marathon in 4:29! 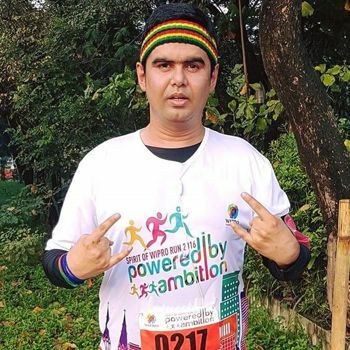 Being extremely busy in office my running coach, Abhishek, ensured that the time I spent on training was best utilized. 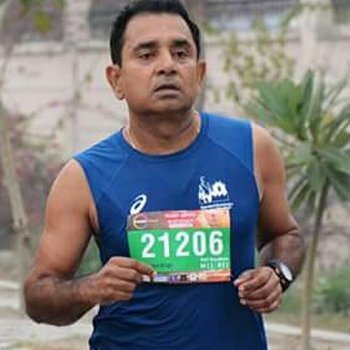 I run because running is awesome, I run because it brings me to life, I run to enjoy life, stay healthy and live longer. I want to thank my running coach Abhishek Rathor who is constantly working on my running form. 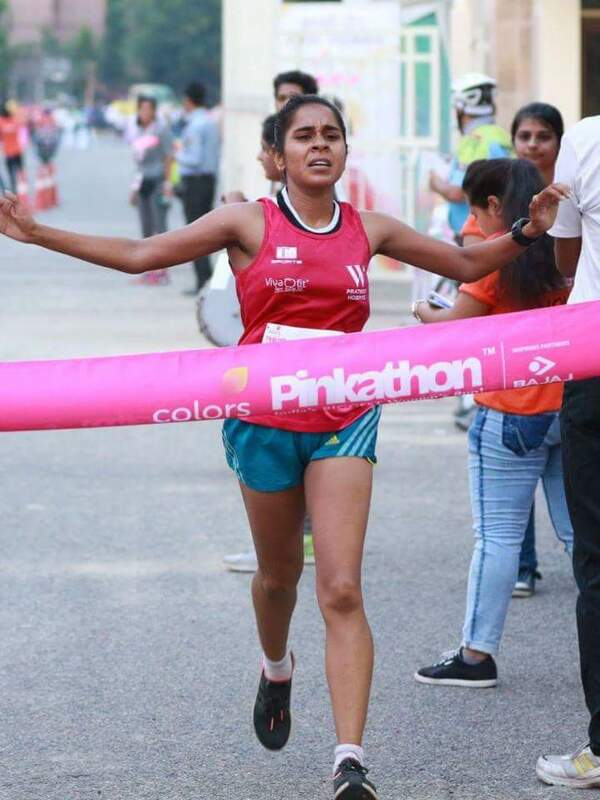 Next 2 months, looking forward to train in Fitso running coaching program to achieve the sub 2 for 21km that I have set for myself and then become a Marathoner. "As the saying goes -The more you sweat in peace, the less you bleed in war." "You must expect great things from yourself before you do them"
"Be yourself while defining your coaching objectives." "There is no substitute for hardwork, believe in yourself and give your 100%. 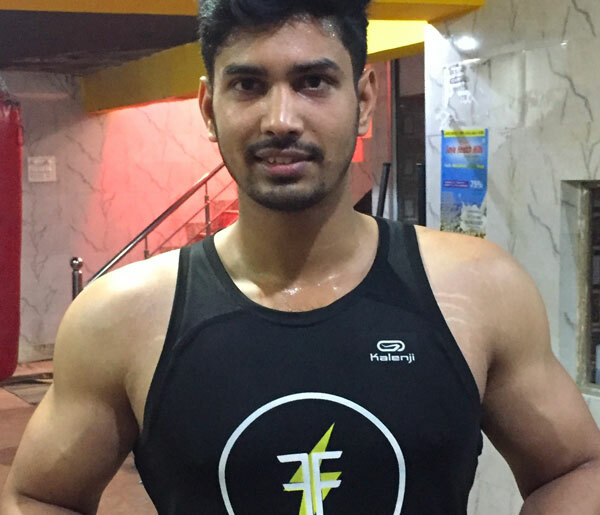 Go Hard or go home "
"I believe in hardwork not in luck"
"If you want to do best in your life always do good to others"
Fitso is your personal fitness, running and weight loss coach on your mobile. At Fitso, we provide personal coaches to help you achieve your fitness goal be it weight loss, weight gain, training for marathon or building muscle. Fitso coaches will provide nutritionally balanced diet plan, and daily workout plan keeping in mind your current lifestyle and fitness level. They will also make sure that you are eating regularly, on-time, exercising adequately, and following a healthier lifestyle. It starts with a welcome consultation call from your assigned expert dietician & weight loss trainer, during which they take your diet and exercise recall, and probe your habit and medical history. Accordingly, a detailed,personalized weekly Diet Plan and monthly Fitness plan is created, which is instantly available to the you through the App. First, for small queries or guidance, there is Fitso chat. Your coaches reply instantly to answer your queries, offer alternate diet and fitness options if you're traveling or vacationing, and keep reminding you of what needs to be done next . Second, if you have something to discuss in detail, you can ask the trainer to call you. There will be at least one weekly audio or video calls to discuss the plan for the next week and your performance in the previous week. Your coaches keep track of your exercise habits and behavior to help speed up your metabolism. Our coaches are certified professionals who are equipped to deal with medical conditions and are happy to work with your medical practitioners to support your treatment protocol. How effective is Fitso coaching? Fitso is effective for primarily three critical factors - flexibility, access to best coaches, and constant motivation. First, what we offer is unmatched by any offline running program because there is no requirement of your physical presence at gym or clinic, as is required in offline programs, and is a big reason for dropout. Second, we have India’s best coaches who offer the best guidance to help you achieve your goal. Access to right guidance is extremely critical, and is a huge issue in offline setting, where you have to believe the certificates the trainer claims to have. Third, Fitso coaches go out of their way to help achieve your goals. They will constantly push you to follow the plan, make constant changes to suit your need, and help you whenever you need. How will you train running online? 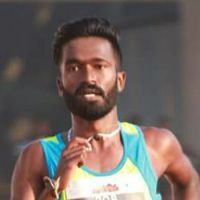 We have developed unique technology to connect Coaches with Runners through our mobile app. It works as follows - Firstly, you will be assigned a personal coach. Your coach will then analyse your background, current fitness level and time commitment and based on that will design your workout plan and deliver it on the Fitso app on your phone. You can do this workout at any time during the day or night and it will be tracked on the Fitso app. Your Coach can see the data tracked and will give his/her feedback based on that. You will always stay motivated and excited about your progress and will grow to become a better runner with every workout. Do you sell or recommend supplement or equipment? At Fitso, we don’t recommend any supplements or medication. If you have equipments or access to such facility, then the workout plans might require these equipments, otherwise, your coach will provide you body-weight workouts such as push up, crunches, burpees and plank, which work in the same way. In case of body-building, since you need more protein everyday and it's difficult to eat that much protein without intake of other macros, whey protein may be recommended. Apart from this, only natural diet will be provided which is customized as per your taste and cuisine preference. I already run. Why should I take a coach? You are already putting your time and efforts but you may not be getting the desired results. If you train under an experienced coach you will get 10X results for your same time and efforts. Your coach will give you a task on daily basis. Sometimes we tend to avoid workouts in morning but if you train under a coach he will make sure you complete your workout. You will be held accountable and your coach will encourage you to push your limits. How will the Fitso trainers ensure that I am properly working out? Your trainers are not just normal instructors, but are certified instructors who understand why you aren’t getting result. You have workout videos in which you can see the correct posture. Additionally, the instructors provide you with proper warm-up to minimize the risk of injury. Finally, based on your feedback, the instructors change the intensity and style of workout for more effective results.. However, if you face any issues, just speak the instructor, he will be happy to resolve it. How do I report an issue with the Fitso trainer or the Fitso app? Although our trainers go through a strict training process, there are times when it might not work for you. No worries, we are here to help in that case. Just let us know by providing a feedback through app. You can see the ‘send feedback’ option in the settings of Fitso app. There may be a possibility that app might not be working as per your requirement. We advise you to read the “Steps to begin” that we email you as in when you opt for the plan. We would like to inform that each issue raised will be reverted within 24 Hrs and resolved within 48 Hrs, unless its a long-standing bug in which case we will resolve it as soon as possible, and will keep you posted..